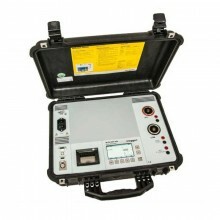 Includes: MOM 690 test instrument, Cable set standard GA-05055, Ground cable GA-00200, Transport case GD-00182. 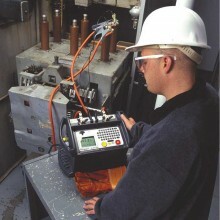 The Megger MOM690 features high current capacity, microprocessor-based measurement, storage and reporting. 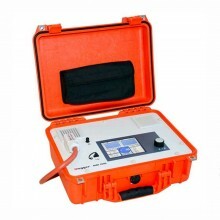 The built-in software enables you to carry out an individual test or an entire series of tests and store the results. When contact resistance rises because of oxidation, loosened or improperly tightened threaded joints, temperatures rise abnormally at the points of contact. This abnormal heating reduces conductivity thereby accelerating the rise in temperature - and this often leads to serious trouble. 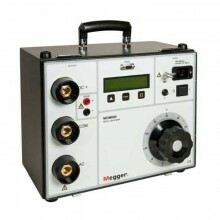 The Megger MOM690 can be used to detect such problems early so that they can be remedied long before trouble starts. Checking contact resistance at regular intervals provides a clear indication of the state of your system. 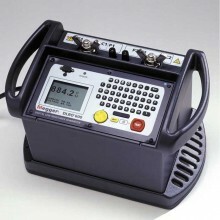 During measurement, the instrument generates a high current. This current must not cause excessive heating inside the instrument. To prevent this, both a thermal fuse and a miniature circuit breaker that serves as a line fuse are provided. With the optional MOMWin software you can also export the test results to a PC for further analysis and reporting. 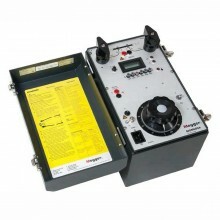 0 - 800A DC current range. 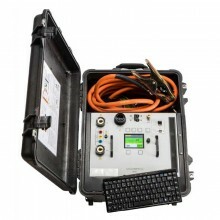 Application Field Intended for use in HV substations and industrial environments. Storage/Transport: -40 to +70°C (-40 to 158°F). Range 0 to 800 A. 0 – 49 A, not specified. 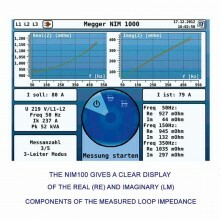 Range 0 to 200 mΩ, >200 mΩ not specified. Power Consumption (Max) 9660 VA.
Protection Miniature circuit breaker, thermal fuse, software. Available Languages English, French, German, Spanish and Swedish. 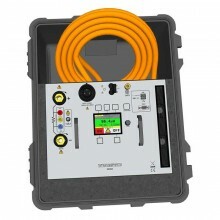 Sensing Cables 2 x 5 m (16 ft), 2.5 mm². 2 x 15 m: 95 mm². 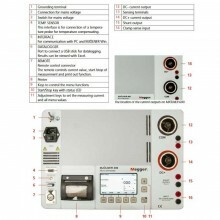 Transport Case: 610 x 290 x 360 mm. Weight 23.7 kg (38.6 kg with accessories and transport case). 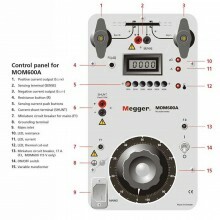 Megger MOM690 warranty 1 year. 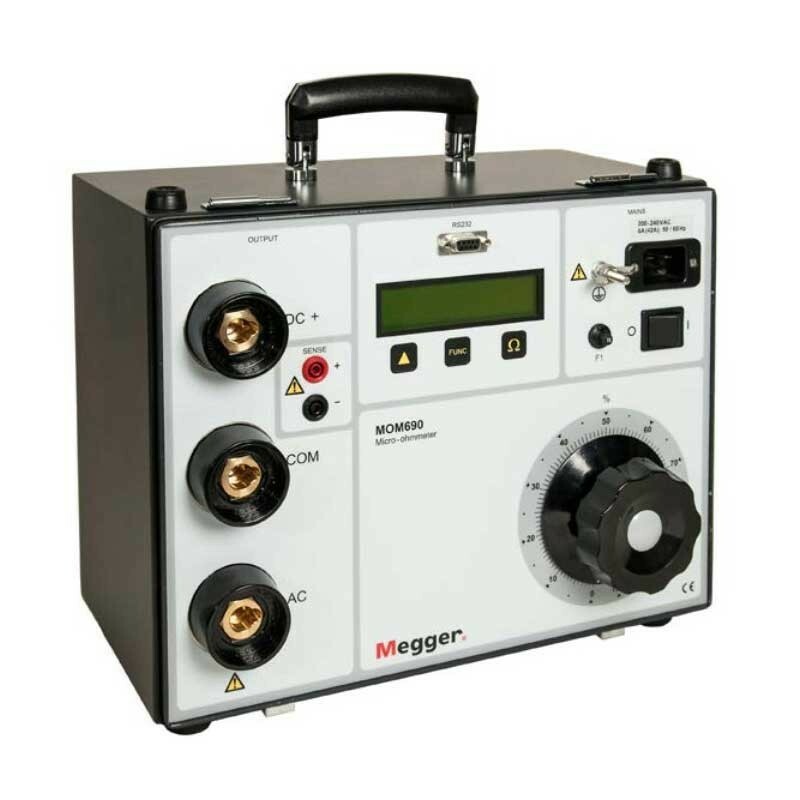 PDF Specifications of the Megger MOM 690 Micro-ohmmeter.